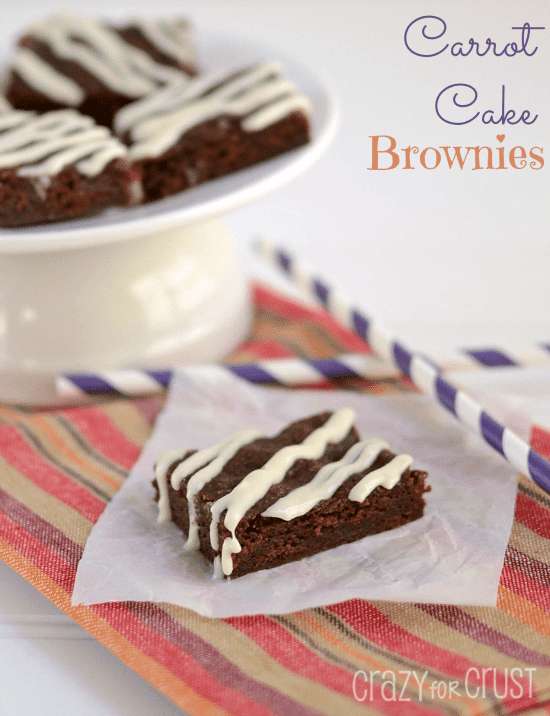 Carrot Cake Blondies – I love carrot cake – in all forms. I love blondies – almost too much. When carrot cake and blondies get married…it’s like a match made in heaven. 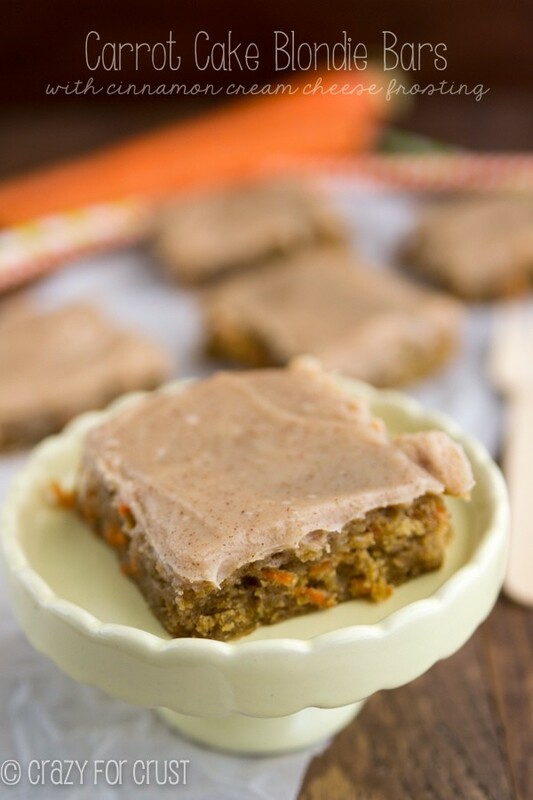 These Carrot Cake Blondies are going to be perfect for spring! The other day I got a comment on Facebook asking why there is so much carrot cake and lemon going around the internet right now. The answer? Like gingerbread is for Christmas, red velvet is for Valentine’s Day, carrot cake is an Easter thing. Why? I have no idea. I’m assuming it’s because the Easter bunny is a bunny and bunnies like carrots. Hence, all things carrot cake. And I’m okay with that. I hope you are too, because this latest carrot cake creation is one of my favorites. Carrot Cake Blondies. 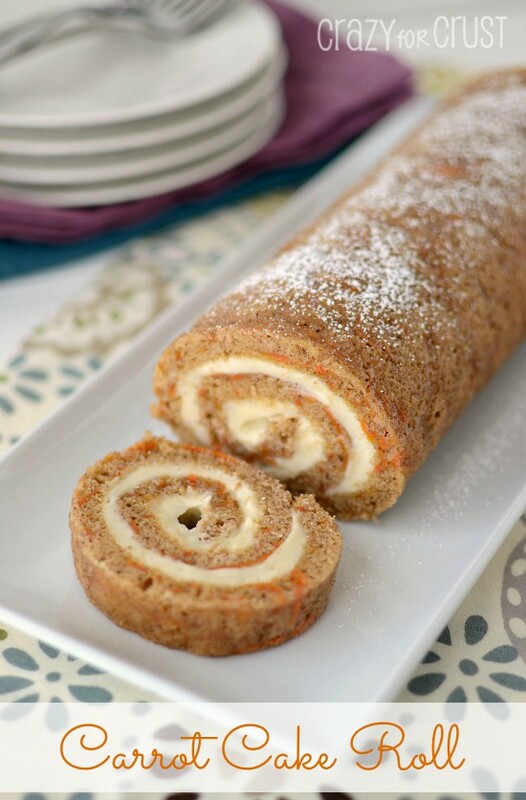 It’s like a blondie…but it’s carrot cake. I almost called these carrot cake bars because they’re more cake-like than a traditional chewy blondie, but I couldn’t do it. These started with a blondie recipe and by gosh, I’m going to call them carrot cake blondies! My blondie recipe is full of brown sugar and butter. (That’s what makes them to die for!) Then I added cinnamon and carrots. You an add nuts and raisins if you want. I didn’t think to add nuts and I hate raisins…so that’s my excuse for why there are none. You know what makes these bars? THE FROSTING. It’s a cinnamon frosting. Made with cream cheese and a secret: melted butter. Oh my word. Make the frosting and eat it with a spoon, no joke. These bars are fine alone…but they’re complete with the frosting, so don’t skip it. Why would you? It’s amazing. Carrot cake meets blondies in this recipe! A brown sugar blondie made with carrots becomes the soft and gooey cross between a carrot cake bar and your favorite chewy bar. The frosting is the best part! Whisk baking powder, salt, and flour in a medium bowl. Set aside. Cream brown sugar and butter in the bowl of an electric mixer fitted with a paddle attachment. Add eggs and vanilla and beat until combined. Mix in dry ingredients. Stir in carrots. Make your frosting: Make sure your cream cheese is super soft. If it’s not, you can remove it from the package and heat it on HIGH in the microwave for about 10 seconds to soften it. You want it very soft but not melted. Whisk cream cheese and butter together (you can also use a hand mixer). Whisk in powdered sugar. Add vanilla and cinnamon and whisk until smooth. Frost bars in pan. You can eat these right after frosted and they’ll be gooey and good. Or, chill until the frosting sets and then slice and eat. Your preference! We’re having dinner tonight at a friend’s house. I was assigned dessert. This is in my oven as I type. It smells so good. Off to make the frosting….. These look so moist! 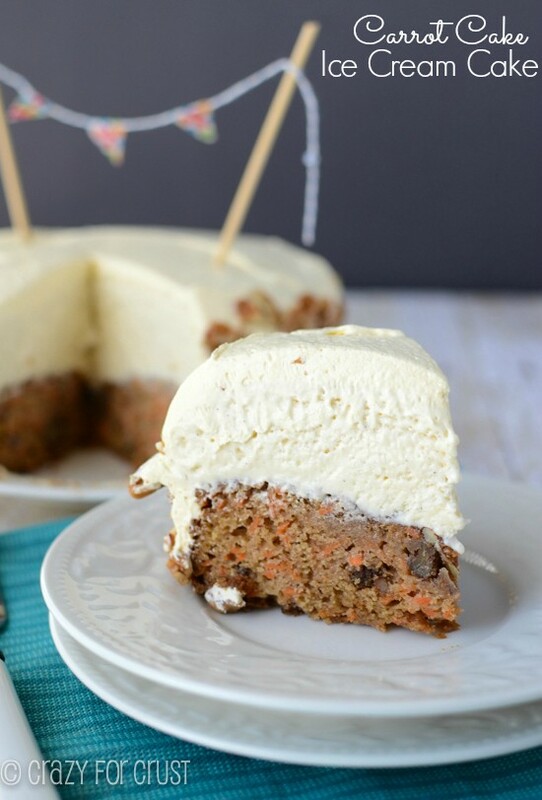 What an ingenious idea making a carrot cake blondie…they pair so well together! I am dying to try these!! They look amazing! Love love love the carrot cake blondies!!! I am pretty much dying over the cinnamon cream cheese frosting! Thanks for sharing. I like to substitute the butter with coconut oil. By the way, your photography is really rocking! How long can these be stored at room temp? I would say a few hours is fine, even a work day. But overnight I’d chill them! Thank you so much! These are incredible by the way!